I recently enjoyed blog posts from fellow outdoor bloggers, Splodz and The Urban Wanderer, with their ‘A-Z’ list of themselves. It was interesting to learn a few things about them, and so I decided to attempt my own. A – Acting! For the past few years I’ve worked, very occasionally, as a film extra or ‘Supporting Artist’. Lots of fun and it keeps me feeling like I still work in the telly world (See also T!) 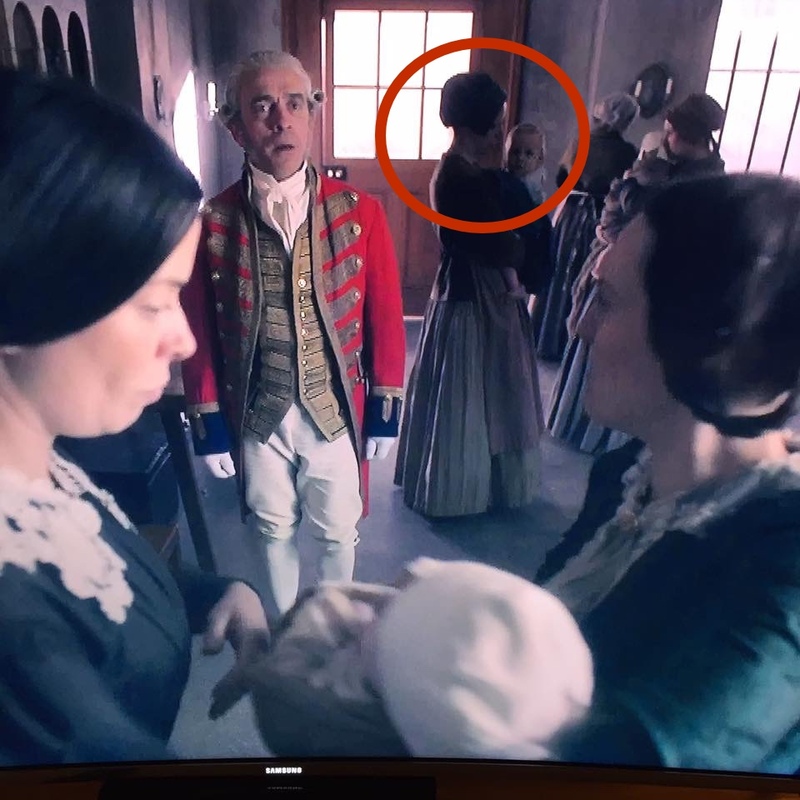 I can be spotted in the first series of ITV’s Victoria, holding a very well-behaved baby. B – I didn’t know whether to for bonkers or beer, but I do like a real ale which probably helps with the bonkers bit. 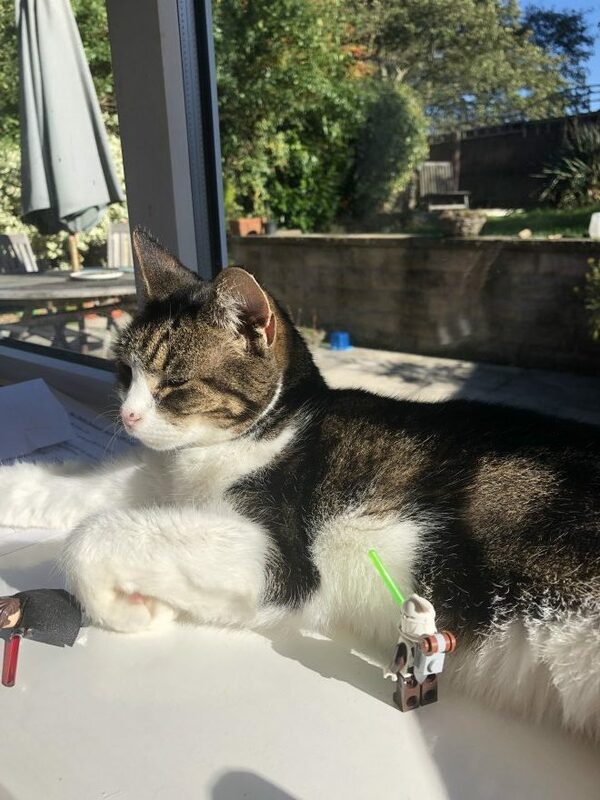 C – Just like The Urban Wanderer, I’m also a mad cat lady! I have two elderly rescue cats myself, but I also volunteer at an admissions unit at The Cats Protection League. 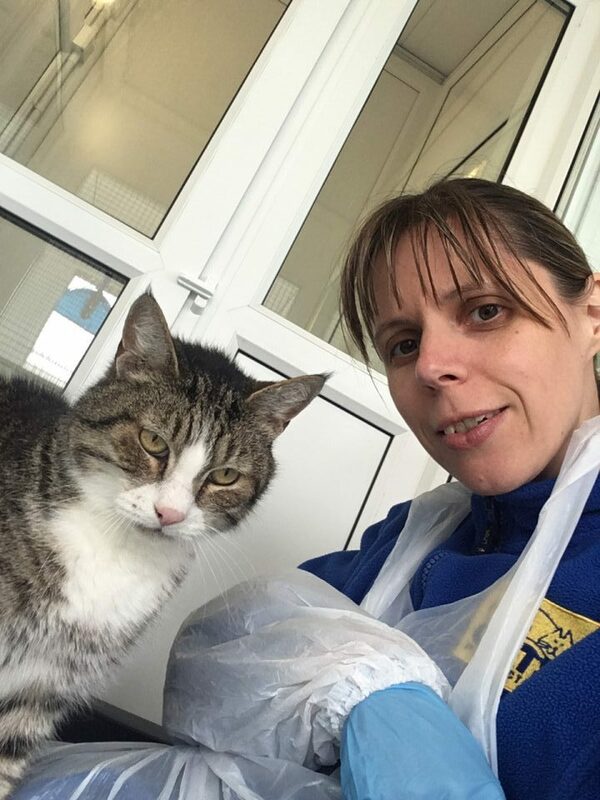 Sometimes their stories are heart breaking, but after some love and care it’s wonderful when they go to the rehoming unit and then on to a new home. D – For many years I adopted a donkey called Simon. My opening line to husband when I met him was “Oh, I adopt a donkey called Simon!”. He didn’t hold it against me, see also V! E – In 2009 I suffered an ectopic pregnancy, it was at first misdiagnosed and then became an emergency. 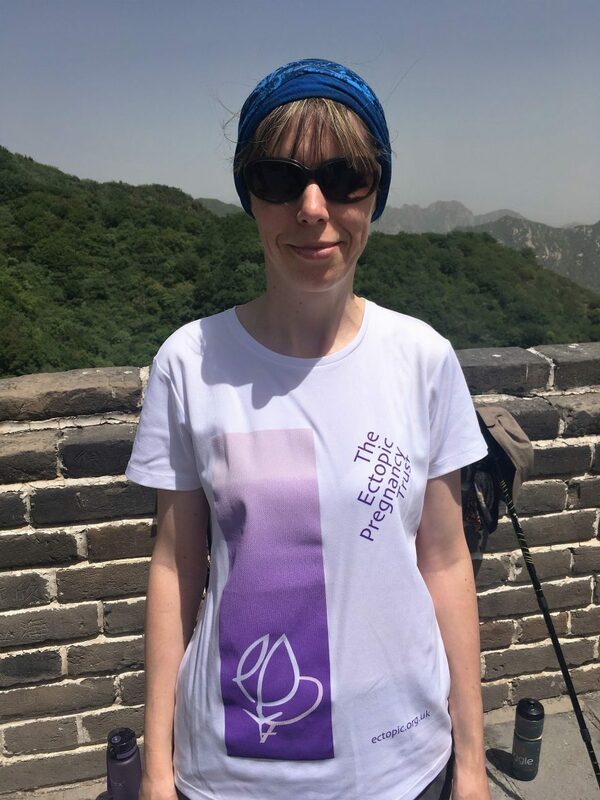 I try to raise money and awareness for The Ectopic Pregnancy Trust, which is who I raised money for when I did my Great Wall of China trek. Please check out the symptoms of an ectopic pregnancy, it might save a life. F – I used to be a big Formula 1 fan, my mum helped run Gerhard Berger’s fan club, and I was lucky to meet a lot of the great’s. My Son’s middle name is after a racing driver. G – Glamping. We’ve had some fab glamping trips and I’d love to do more. H – Hips! I’ve had two hip arthroscopies for labral tears and femoroacetabular impingements in both sides. I wish I’d started my blog before my first surgery. It was a looooooooong journey for both, but I went from not being able to walk up the road to walking and hiking all over. Hence Hip2trek was born. Also see P! I – I grew up not far from Ilkley moor and have enjoyed the moors since I was little. I’m thrilled that my kids now love going there too. They always ask to go when I ask for a walk suggestion, but that might have something to do with the amazing pasties the café, near the Cow and Calf rocks, sell! J – Jellybabies are one of my favourite walking and hiking snacks. K – Every year I mean to keep a record of how many kilometres we’ve walked as a family. Oh well, maybe 2019 then! L – Laughing! It really is the best medicine and I do like a good laugh. It usually comes at my own expense though, ha, ha! See also Q! M – Mature student, eek! This year, I made the decision to go back to college to do some access courses, so that I can eventually study physiotherapy. I’ve a long way to go but I’m determined to get there. N – Last year I took a ‘Straight to Silver’ NNAS course to improve my navigation skills. I love looking at the map and planning where we’ll walk. I must go out and practise more. O – I love getting outside and vowed after my hip surgery to get outside and enjoy the fresh air more. Walking and hiking helped me with some sleep problems and I function so much better having been on a good walk. It also started the germ of an idea to write a blog and I’ve met some wonderful people through blogging about getting outside. I now absolutely love walking and challenging myself to walk further, harder or higher. P – Physiotherapy! My physio journey after my hip surgeries was hell at times, with it lasting about 18 months for each side. It was incredibly hard work but has inspired me to want to be a physiotherapist. 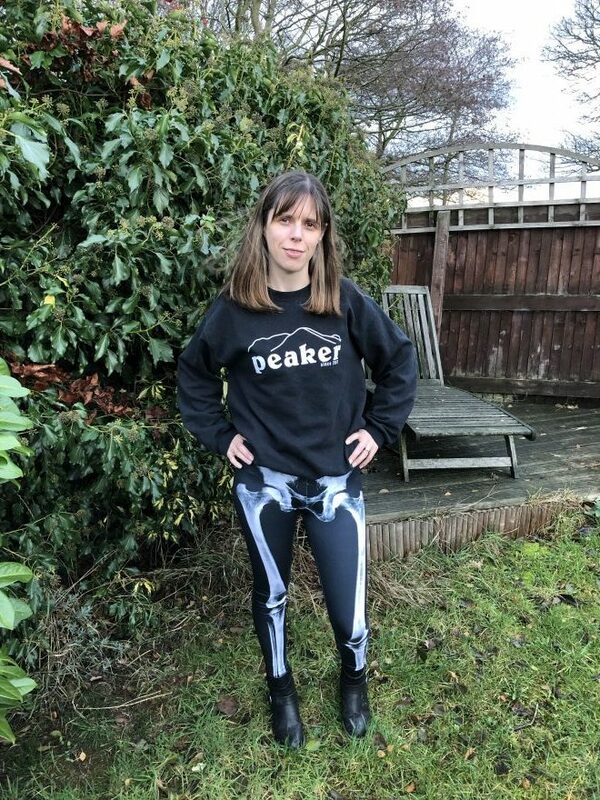 I’ve become interested in bones, muscles and how the body works and seen the amazing effects rehab and physio can have. Q – I seem to have an inbuilt quagmire homing beacon! I always end up covered in mud and if there’s a bog to find, I will find it! After nearly crying and being shin deep in mud and cow muck on my Calderdale way walk, there was much hilarity and of course looking back it must have looked pretty funny. R – I love roaming around an area and discovering the hidden places that are on my doorstep and further afield. R also has to be for Realhandful snacks. I am obsessed with their chocolate orange chase bars. They are almost as yummy as jellybabies! S – Sassenach. I’m a big fan of the Outlander series, inspired by the books by Diana Gabaldon. Set in Scotland it’s a wonderful story of time travel, Love, history and oh, so much more. You’ll have to go read the books, although the main man in the series is a fabulous Jamie Fraser and pulls the character off so well. T – Telly! I worked for Yorkshire Television as an Editor in the Post production department for ten years. It was my dream job and I absolutely loved it. Time and technology move on, but I still have a taste of the telly world working as an extra. U – Whilst on my China trek, ‘Undulations’ became a bit of a joke. We would ask our guide about the day and how hard it would be, and he would reply “Just a few undulations”. We soon came to realise that would be an underestimation. I smile now though when I hear the word, it brings back great memories. V – V-Festival is where I met my husband, in a field! W – Warrior not worrier. I’m not quite there yet but I’m trying not to let worrying about everything take over. X – Xmas! Arghh, it creeps up doesn’t it? Y – Yorkshire. I’m a proud Yorkshire lass and love the county I’m from. It’s so varied with moorland, the seaside but also great shopping towns. Z – Zeal for getting outside, having mini adventures with my family, and pushing myself for new challenges. After all, what doesn’t kill you, makes you stronger! So, there you go, I hope it wasn’t too boring! What does your A-Z look like? Aw, thank you! I’m glad you enjoyed it. Yay, crazy cat ladies together, love it!!! Ha, ha, I could be lurking in your tv screen somewhere. There’s a series coming in January, set in your neck of the woods, and I’m in that but I might mention it nearer the time!